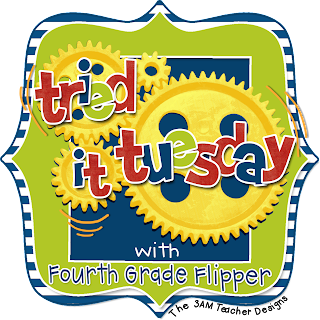 I'm linking up with Fourth Grade Flipper for Tried it Tuesday. 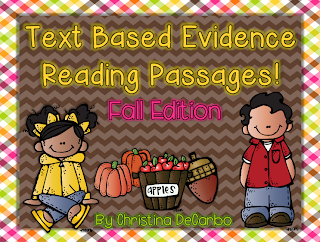 My good friend Christina at Sugar and Spice has created an AMAZING resource for finding evidence in the text. This is a skill that my kids really struggle with. Christina has made this skill very easy to teach. She created a set of fiction and nonfiction passages that teaches children how to read the same piece of text multiple times. Then she gives the kids 3 specific pieces of information to find in the text. She wraps up by asking the students one question they have to write a response for. Thanks for sharing. I will pass this info along to some of the lower elementary teachers in my school. What a great resource this is! I love the color coded directions. We are working on this skill currently and it is always a tough one because students hate to look back at the text. It takes too much time! :) Thanks so much for linking up!